After hearing a lot about beauty boxes recently, I realised getting a beauty box every month would be a great way to try new products. The problem was that I didn't want to cave in and subscribe to a box which may send me products containing potentially harmful ingredients, so I did my research and found a natural and organic beauty box from a company called Amarya. 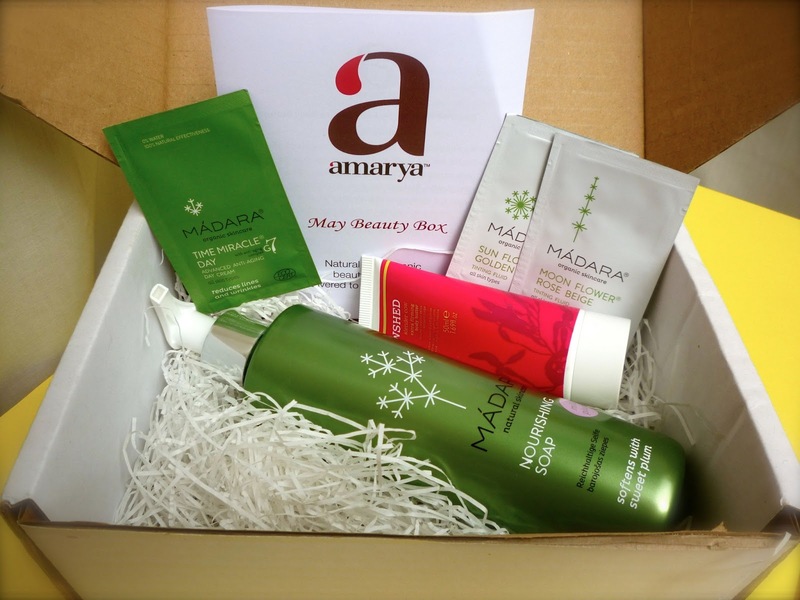 Today was the day I received my very first Amarya Beauty Box! If anyone else has used these products before please leave a comment/tweet and let me know what you thought of them!